It’s normal to feel some anxiety before getting your braces fitted. No matter how old you are, how many times you have heard that getting your braces put on doesn’t hurt or people have told you that you should just relax, you will still feel nervous about appliances being attached to your teeth. So what do you do? Find a buddy that is getting braces or already has braces. Having an “inside man” can be massively helpful. Support stemming from shared experience can be very soothing to people that are about to go through any process. Maybe do something fun together. The simple act of socializing or hanging out releases mood-elevating hormones. 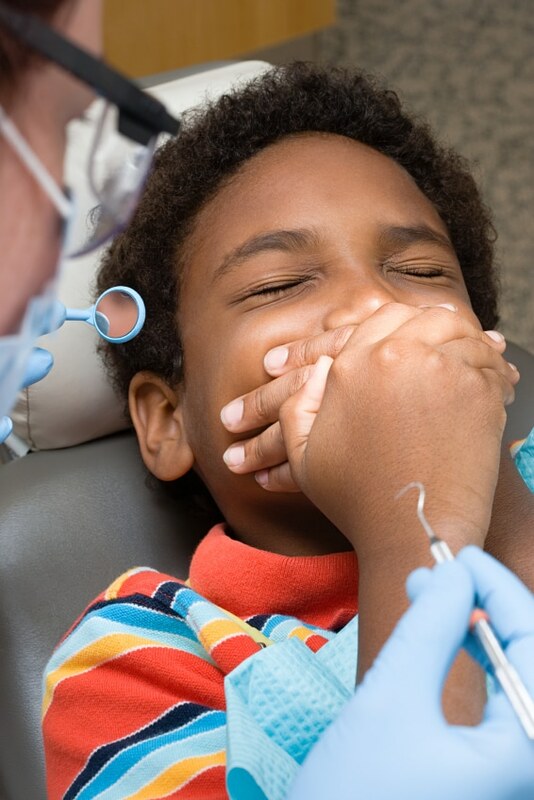 If you are a parent who has a child that is really nervous (or even freaking out) about getting braces, there is a wealth of information online where you can research the experiences of others to help you prepare your son or daughter. The same applies if you are the one getting the braces. It is good to get the full cross-reference of the experience to be better prepared. You will find that how people felt about their time in braces covers a wide spectrum. To know that there are others out there that feel the same and have “lived” through it or are going through it and how they’re handling it can be comforting. Smoothies are great (and tasty!) way to help with the discomfort you might feel when your braces start the alignment process. Sites like Smoothie Ninja have lists of delicious and fun recipes for kids.. It can also be a good way to get some of those fruits and vegetables into a mix that you can’t chomp on once your braces are attached. Eat! Drink and Be Merry! There will be a lot of things on the “do not eat” list. Take the couple of days beforehand to enjoy most or all of those candies and sodas that you love before you get your braces fitted. It may not make you less scared, but you will enjoy yourself. Because it is something you do without having to think about it, you often take for granted how powerful of a tool breathing can be in reducing anxiety and stress. Find a semi-quiet space, sit down (with your back straight and head up), put your hand on your stomach and breathe in deeply through your nose until your chest is fully expanded and then exhale slowly through your mouth. Slow and steady breathing will increase your Oxygen intake while lowering your heart rate and your blood pressure while sending a calming message to your brain. There are now medical studies that are backing up what people who take the time to calm their thoughts and visualize something positive have known for thousands of years—meditation is a powerful relaxation tool. It is important to remember that what is causing you to stress about getting braces is all PERCEIVED. This is only in your head. By calmly considering what it is that is causing the stress, your mind allows you to take a more objective look at the root of the issue and to put some distance between you and it. So find a comfortable, quiet place, close your eyes and focus on positive thoughts and calming mantras. If you’re new to meditation, here are 20 meditation tips for beginners. There are many natural destressing smells that occur in nature. Lemon, lavender, chamomile, vanilla, rosemary, basil are all great mood elevators and anxiety busters. They often come in scented candles or natural oils. If you’re feeling scared or apprehensive, light a candle before you start your deep breathing or meditation.